If you own an iPhone 3GS, there's only one real reason you should pay for an upgrade...the camera. 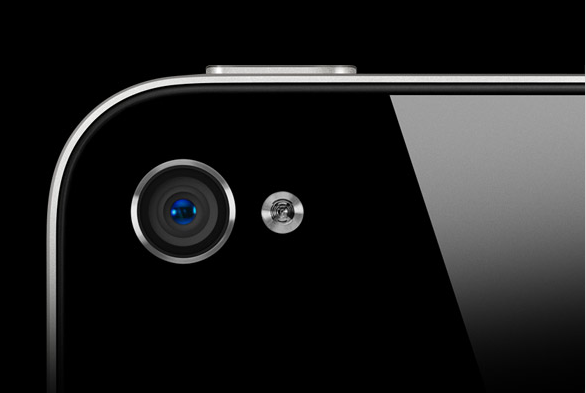 If you own an iPhone 3GS, there’s only one real reason you should pay for an upgrade…the camera. I’m about as big an Apple product fan as they come. I write avidly about each and every product release. I dream about how the new iProduct will change my life. I’m often up early every Apple release morning to get in line for whatever the company is releasing and this time, with the iPhone 4, it was no different. I’m here today to bring some simplicity to your decision as to whether or not to upgrade from an iPhone 3GS to the iPhone 4. It’s a question I’ve been asked over and over again, and fortunately I have a very straight forward answer. Only pay for an upgrade to the iPhone 4 if you use your iPhone camera on a daily basis. I’ve had the phone for almost 4 days now and I can honestly say that unless you’re an avid user of your iPhone’s camera, it really isn’t worth the upgrade from a 3GS unless it’s a free upgrade. Unfortunately, this doesn’t change everything again as Steve Jobs would like you to believe. The fact of the matter is that we’ve all been suckered into thinking a new design, which is somewhat of an improvement (although I’ve met many a person who prefers the 3G/3GS) is a brand new phone, a second coming, which it isn’t. The battery life is about identical to previous models, despite reports that say the contrary, and then there’s Face Time which despite it’s awful name is awesome. But you’ll probably only use Facetime once until it works on 3G and there’s interoperability between Face Time and other non Apple handsets. Some people will mention the new Retina display, and it is marvellous, but as with Face Time, the precision and pixel perfectness is generally forgotten after you’ve appreciated it once. What’s more, your average Joe simply doesn’t spot the difference between the iPhone 4 and the iPhone 3GS – it just isn’t that big of a deal to them. The camera is where the iPhone truly shines and if you’re a frequent user of your phone’s camera, whether it be for photography or video recording, the upgrade is truly worth it. That aside the major changes are all in iOS4, Apple’s new OS upgrade. Multitasking, quick app switching, folders and more are the improvements that you’ll actually make the most of and they’re all available for free whether your on the 3GS or iPhone 4. Read next: Internet connections that are 100 times faster? Where do we sign up?